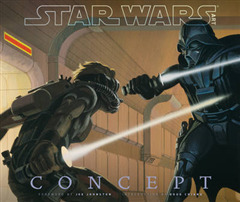 From Ralph McQuarrie and Joe Johnston to Doug Chiang, Ryan Church, Iain McCaig, Erik Tiemens, and the next generation of animation and video-game artists, Star Wars Art: Concept collects, for the first time ever, the very best of Star Wars conceptual artwork. 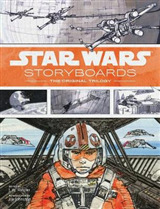 As curated by George Lucas, the artwork that helped bring the Star Wars Saga to life is revealed in all its glory, featuring conceptual and pre-production drawings and paintings from the Original Trilogy, the Prequel Trilogy, TV shows Droids, Ewoks, Star Wars: The Clone Wars, Detours and the most recent video games, such as 1313. Spanning the years 1975 to present, Star Wars Art: Concept is a fascinating look at the highly specialised art of conceptual design, the process of taking verbal thought forms and turning them into visual masterpieces. From pen and paint and paper to the digital realm, the consistent result is the creation of breathtaking iconic worlds, vistas, vehicles and characters that have been seen before--and which successive generations of the public have embraced and made their own. 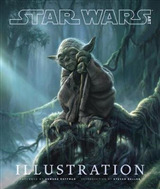 Star Wars Art: Concept is a book unlike any other--and which could only be brought to you by the creator of the most enduring and popular saga of our time. The special 240-page limited edition includes 5 hand-signed, archival-quality 10 x 12" giclee prints, as well as 64 extra pages of artwork exclusive to the limited edition. 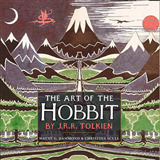 The prints and hardcover, with cloth case are housed in a handsome, deluxe clamshell box, as well as a protective packing carton.